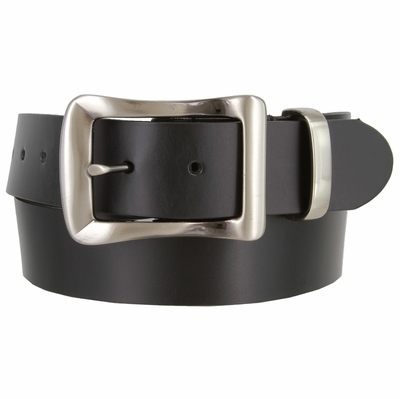 Smooth Genuine One Piece Leather Casual Belt Made in USA. 1-1/2" = 38mm wide Smooth Genuine Leather. Stitched Brushed Nickel Plated Buckle and a Matching Keeper.